Tired of using the spinning reels that perform like toys? That’s crazy!!!!! Or perhaps finding the best spinning reels? A true angle knows that a bag of worms is not just enough for a great fishing experience. You need a good combo. So don’t waste your valuable money on this cheap reel. Nonetheless, a great spinning reel can be your best friend for casting. 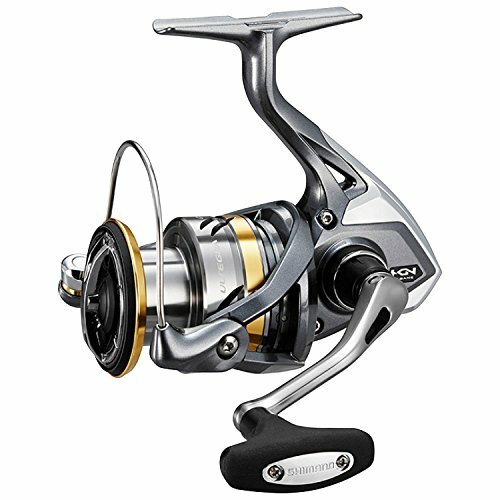 In this article, we are going to discuss some of the high-quality spinning reels on the market right now. Therefore, we have segmented the article in two main parts. On the first part, we will discuss some of the finest reels in a different range. On the other part, we will cover up, a few reels which are specially designed for saltwater. Learn casting A spinning reel. Furthermore, we have added a buying guide which will help you to learn something more about the spinning reel. Thus, before buying something you should know a bunch of specification and what to look for that product. So let’s start. 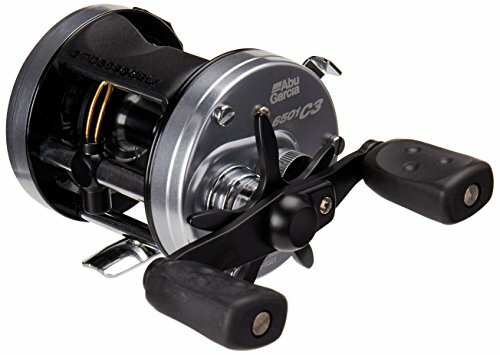 Best spinning reels for the money will excel at a vast array of casting techniques such as split shot, drop shot, shaky head, weightless plastics, wacky worm, and small crankbaits. 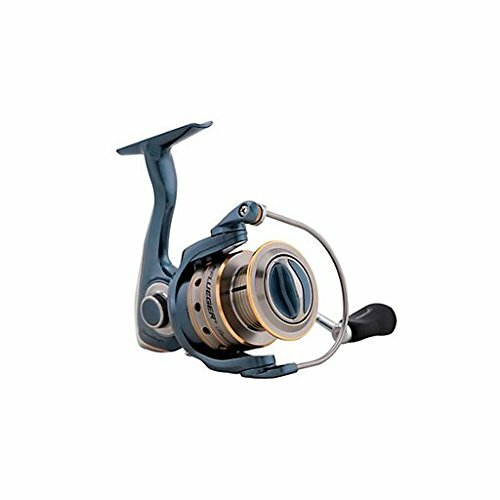 Therefore, here are some Best spinning reels on various price ranges. As it’s a demanding item, manufacturer tends to produce the reel on different ranges. So take a look. Well, choosing a reliable spinning reel under 50 buck is quite a difficult task. Especially if you are very precious about quality, it will be daunting. Don’t worry. We have done that research part for you. 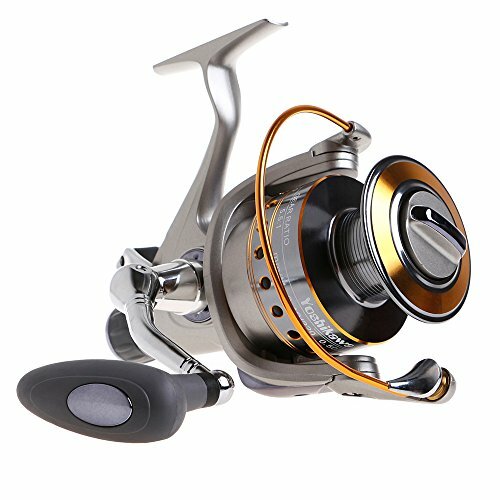 Therefore, we choose three spinning reels with great quality. Most important part is they are within 50 bucks. Let’s have a look. 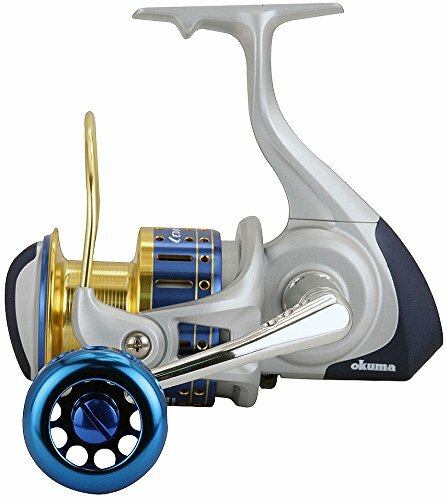 If you are searching for a reliable reel under fifty bucks, this Okuma Spinning Reel is undoubtedly come on this list of best spinning reels. Compared to the other reel, it’s quite smoother. Not only smooth, but it is also beautiful and precise too. The best thing about this spinning reel is it comes in five different styles. These styles are classified according to the purpose of work. Each style is designed for specific work. Let’s see some of this. This reel is the smallest Ceymar in this family. Thus, it is great for 2 to 6-pound test fishing line. This reel would be great for fishing sunfish, trout, bluegill, and crappie. For best performance, pair with an ultra-light fishing rod. Intermediate sizes are the most versatile anglers. It suits steelhead, bass, carp, walleye, and more. Therefore, the size 30 is designed for finesse application. It is perfect for jigging walleye or drop-shotting bass with 6- to 8-pound line. On the other hand, C-40 comes with larger capacity. It designed for bigger fish like catfish, steelhead, and bigger lures. Thus, it can hold a 10- to 12-pound line. When it comes in Inshore Saltwater fishing, C-55 is simply best. It’s a highly capable reel. It is capable enough to hold bigger fish like snook, Striped bass. Also, suitable for redfish and shallow water bottom fish. It will hold 15-pound monofilament line of roughly 240-yards. Thus, the braided lines are 20 to 30 pounds. The size 65 is made in such a way to hold oversized fish. It is equipped with exceptional cranking power. Thus, it is ideal for bigger water applications. The matter is that Big Water Fishing needs a lot of line capacity. In saltwater, it is perfect for casting from jetties and piers. In freshwater, the C-65 will be best for casting big rivers and lakes fish like catfish. 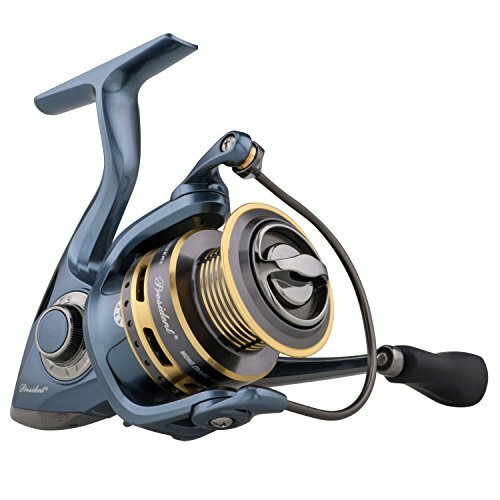 Let’s dig into the benefits and features of Okuma Lightweight Spinning Reel. It comes with a multi-disc drag system. This system makes it pretty powerful. This spinning reel gives ultimate smoothness of 7BB + 1RB. The company offers a 1-Year Limited Warranty. Machine cut brass pinion gear makes it precious. It is made up of 2-tone Machined aluminum spool. The C-65 comes with Ergo Grip handle. The anti-reverse button is not impressive. It is susceptible to breakage. Finally, for dependable performance, nothing could be better than this one. From the very first impression, this Penn spinning reel will bang you with its amazing looks. Therefore, one of the things you will love about the Penn is the fact that this spinning reel is relatively smooth. When it comes in retrieving a lure, this is one of the best spinning reels. The feature we like most about this reel is its terrific drag. However, it comes with several styles started with 2500-8000. This reel comes with premium performance. At the same time, it offers durability at a very reasonable value. It made up Durable construction with heavy-duty aluminum bail wire. On the other hand, it enclosed a full metal body. It is equipped instant anti-reverse bearing. The combination of 4 shielded stainless steel ball bearings and Fluid cranking makes it extra durable. Being Techno-Balanced rotor, it has superior torque and leverage. It comes with 1/3, 2/3 marked line capacity rings. As it comes with Super line spool, it doesn’t require any backing. Not suitable for seawater atmosphere. ​This fishing combo got everything you want from a reliable reel. Need such great stuff? You worried spending less than 50 bucks meant you have to pick a spinning without some superb features, didn’t you? Well, Shimano paved the way especially someone like you who want an amazing spinning reel on a tight budget. Therefore, this Sienna Front Drag Spinning Reel is one of the best Spinning Reel of Shimano. 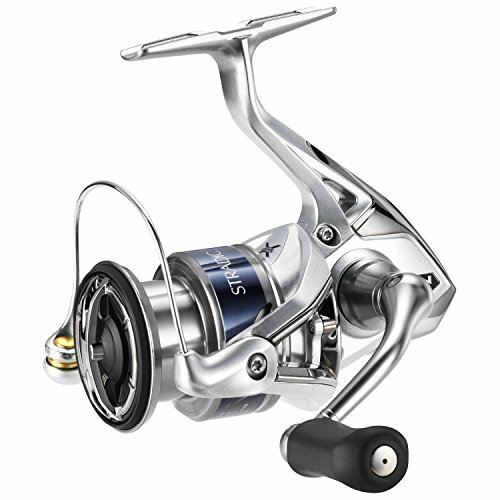 On the other hand, Shimano is one of the leading reels brands for their stunning casting capability. With the dimension of 6.5 x 4.8 x 3.5 inches and 1.5-pound weight, it gives pretty solid action. In a nutshell, it’s a lightweight reel. Let’s dig into the benefits and features of this Shimano Sienna Spinning Reel. It comes with the Propulsion Line Management system. So it will allow longer cast. This system also reduces backlash. This spinning reel has an instant anti-reverse system. Hook extraordinary catches with this superb spinning reel. Also, suitable to cast inshore species. It is mainly a Graphite reel. All parts are almost made from Graphite. Graphite frame, Graphite side plate and Graphite frame. The combination of Ported Handle Shank and Varispeed Oscillation makes it exceptionally well. The spool is not user-friendly. This reel is surely one of the best spinning reels from many aspects. Thus, it has smooth retrieve, silky casting. Want this reel? If you are an enthusiastic angler you know better important it is to choose the right weapon for fishing. 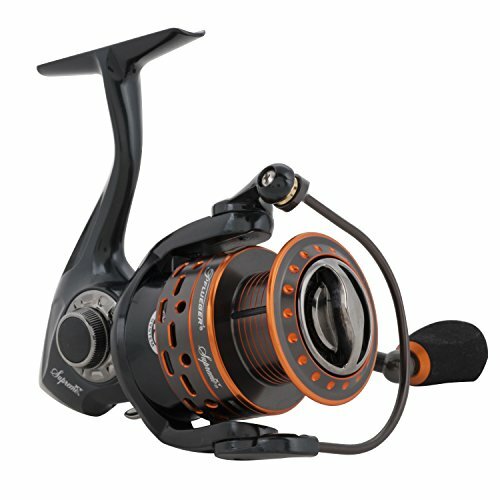 As we mention earlier, there are a few reels which offer quite well performance at a modest price. If you are willing to spend a few more bucks for quality, then this part of the article is just for you. But to be honest, you can’t expect high quality in this range. But we assure they are pretty good as a performer. Let’s have a look what we got. Enjoy a great time with your family and friends with this excellent reel. 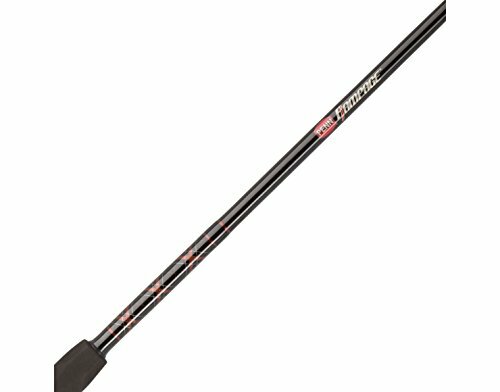 The Pflueger President series is a classy choice for anglers who need high performance without spending a lot of bucks. Though this one is not a budget-priced reel, still comes within the budget of most serious anglers can afford. The feature we like most about this reel is it comes with Sure-Click bail. However, it is a hearable indicator. Also, each of the models is extremely lightweight. 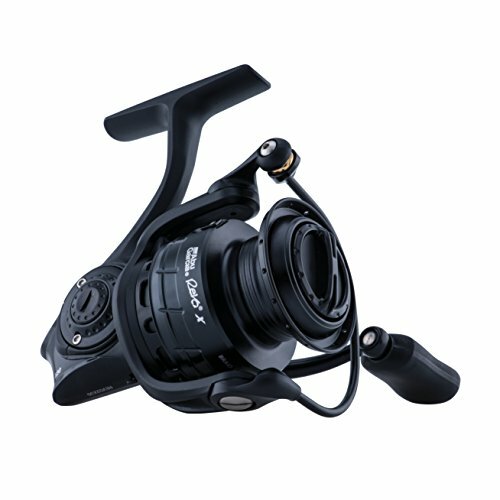 PPS30 - features the Weight 8.3 oz, Mono Capacity: 4/255 6/145 8/130 and Max Drag: 10 Ibs. PPS35- features the Weight: 10.7 oz, Mono Capacity: 6/225 8/175 10/140, and Max Drag: 12 Ibs. 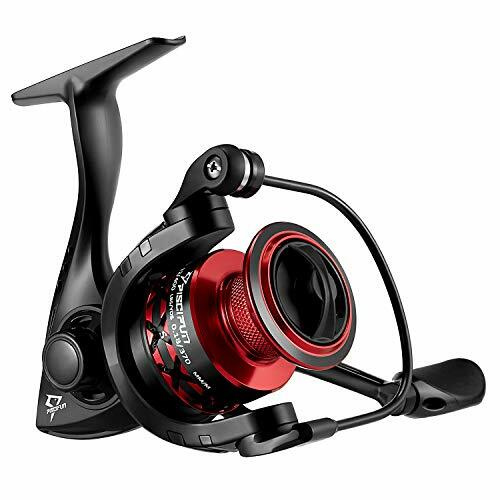 PPS40- features the Weight 11.3 oz, Mono Capacity: 6/225 8/175 10/140, and Max Drag: 14 Ibs. This reel comes with ten ball bearings. And the best thing is they are stainless steel. So you can easily control the line twisting of it. Being Corrosion-resistant, it will be sturdy and durable. The smooth haul systems are coated with oiled washers. As a result, they are it is pretty adjustable. Thanks to its Graphite body. So you will enjoy a lightweight reel. The knobs are quite soft as they made from rubber. So you will get 100 percent comfort. Quite a Reliable spinning reel. Surely this reel is one of the best spinning reels on the market right now. Thus, it comes with two style- Box and Clam. You can try any of them according to your need. So, for further information click here. 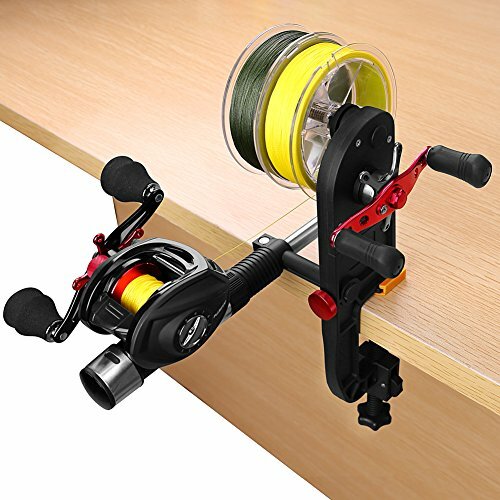 With the help of spinning reel, fishing will be more fun. 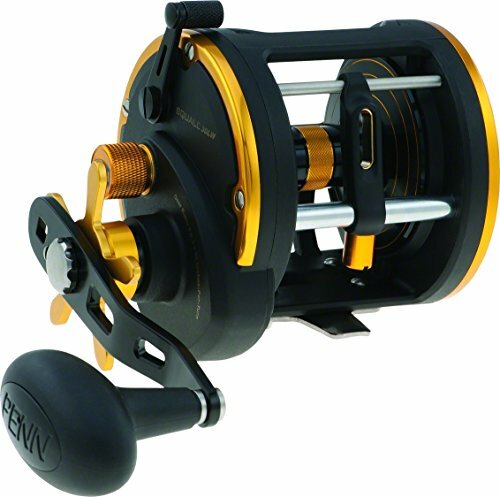 Penn Battle Spinning Reel is one of the best spinning reels what allows fishing in less effort. On the other hand, Penn always gives us such a reel that will just blow our mind. To get such a useful weapon at this price, it was beyond our imagination. This Penn Battle comes with different version started from 1000 to 8000. However, the gear ratio of 2500-4000 is 6:2:1. Also, the other version 5000 and 6000 has 5:6:1 gear ratio. And the last model 8000 comes with the gear ration of 5:3:1. However, all of the models have six ball bearings. Penn II1000- features Mono capacity: 275/2; 135/4; 105/6 and Max Drag: 09 Ibs. Penn II1000- features Mono capacity: 255/6; 175/8; 140/10 and Max Drag: 12 Ibs. Penn II3000- features Mono capacity: 200/8; 165/10; 120/12 and Max Drag: 15 Ibs. Penn II4000- features Mono capacity: 270/8; 220/10; 165/12 and Max Drag: 15 Ibs. Penn II5000- features Mono capacity: 225/12; 200/15; 135/20 and Max Drag: 25 Ibs. Penn II6000- features Mono capacity: 335/15; 230/20; 210/25 and Max Drag: 25 Ibs. Penn II8000- features Mono capacity: 340/20; 310/25; 230/30 and Max Drag: 30 Ibs. Let’s dig into the benefits and features of this excellent reel. Have a look. This reel comes with 20% extra drag. As a result, it will be very easy to curve. Being six ball bearings, this reel is so sturdy and durable. More than anything, this reel is capable to cast in saltwater. As the bearings are made of stainless steel, it will not damage easily. Thanks to its large Line Capacity Ring. Featuring corrosion resistance, it will give great protection from any sprays and chemicals. You can’t find this feature in last Penn reel. Spool capacity is just awesome. The sealed system is not impressive. 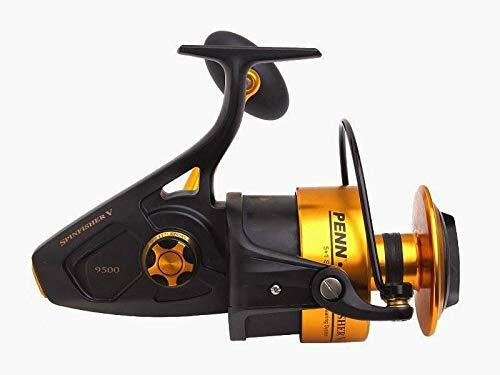 Finally, for excellent performance in saltwater, nothing can be better than this Penn spinning reel. Need this awesome reel? Enjoy a heavy-duty performance in a lightweight reel. Yes, that’s right. Okuma presents us with such an excellent reel. So it is just the opposite of size. And the best part is it is within 100 bucks. Okuma Corp: Okuma Trio High Speed comes in two colors- black and orange. In a nutshell, you will get a super weapon for saltwater finishing within 100 bucks. At the same time, there are three different versions- Trio 30S, Trio 40S and Trio 55S. Thanks to its powerful arms. Thus they are made from forged aluminum. At the same time, it comes with EVA knobs. Like other Okuma reel, the gearing system is elliptical and precise. The pinion gears feature ensures long-lasting. However, it has seven features. Being Precision Dual Force Drag System, it allows the toughest fishes conveniently. The narrow blade body design gives it maximum control. On the other hand, the aluminum component keeps it extremely lightweight. The 9 BB + 1 RB stainless steel bearings ensure that the fish will not escape after it has been snared. The body is so smooth; you can hold it all day. Suitable for the toughest fishes. The grease on the gear is poor quality. 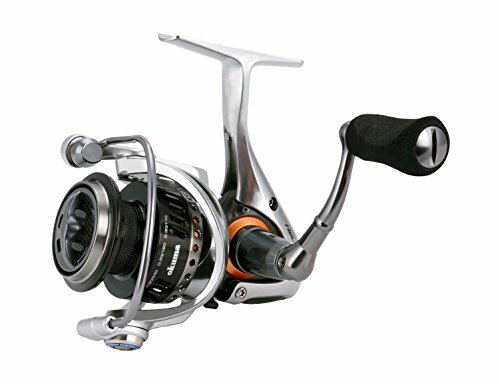 This reel will not only give you a professional performance also an overall smoothness. That’s why we recommend this reel on your next fishing trip. To check more about it click here. Bass fishing is generally an action or angling used for North American. However, it is very popular throughout North America. For bass fishing, you need a particular reel. Here, in this part, we will discuss some of the Best spinning reels for bass fishing. So have a look. Georges Revo, 55 years old avid angler gives his feedback about this reel. That was just one of the positive feedbacks from the customer. Over the years Abu Garcia has presented us a bunch of reels we can easily trust. But this Revo SX Spinning Reel is surely one of the best spinning reels of Abu Garcia. The dominant black design is just elegant. With that, a touch of gray, as well as red trims, gives it a sporty appeal. Most importantly, the notable reduction of weight makes it pretty light. And another noteworthy feature of this item is the carbon body. In a word, it’s an absolute joy to stare. It comes in four different sizes. Have a look. 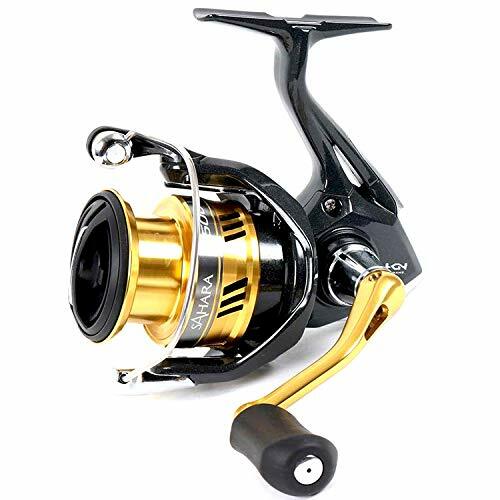 REVO2XS10- Features Retrieve gear 76 cm| Gear Ratio 6.2:1|Weight 7.2 and nine balls bearing. 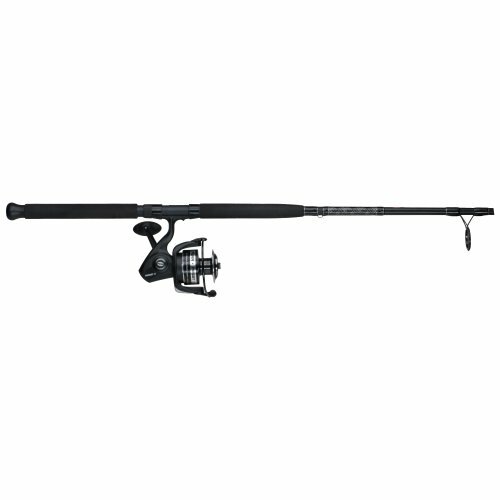 REVO2XS20- Features Retrieve gear 84 cm| Gear Ratio 6.2:1|Weight 7.3 and nine balls bearing. 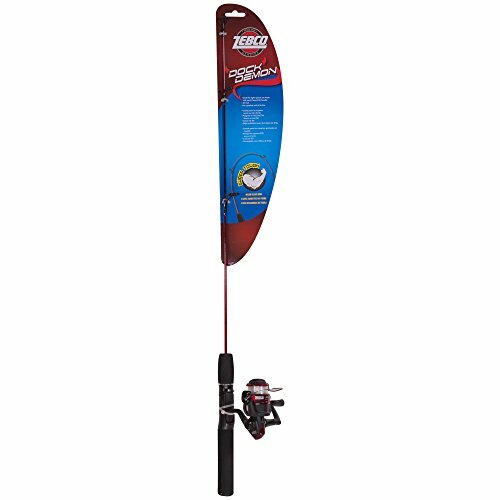 REVO2XS30- Features Retrieve gear 89 cm| Gear Ratio 6.2:1|Weight 7.9 and nine balls bearing. REVO2XS40- Features Retrieve gear 104 cm| Gear Ratio 6.2:1|Weight 9.2 and nine balls bearing. Let’s dig into the benefits and features of Abu Garcia Revo SX Spinning Reel. Have a look. It comes with eight stainless steel bearing and one roll bearing. As a result, it will increase Corrosion Protection. Being COG technology, it gives precision for unparalleled smoothness and durability. The gear is fully Computer optimized. Thus, it provides the most efficient gear system. As the drag system is Carbon matrix Hybrid. So you will get a super smooth drug performance. It comes with some advanced technology like Rocket line management™ system and K- Clutch™ anti-reverse. At the same time, the Everlast™ bail system makes it far better than rest of the other. Considering quality, strength, and durability; it is the best spinning reel of Abu Garcia so far. So everyone demanded it like hotcakes. Want to grab it? Baitfeeder Drag System delivers a fully free-spool mode with just flipping the small lever on back of the reel, allows free-running line without opening the bail that assists you in fighting big fish easier while protecting your gears. Also bring wider and accurate drag adjustment. CORROSION-RESISTANCE MATERIAL CONSTRUCTION: TITAN graphite construction graphite sideplate, strong anodized CNC Aluminum Spool, Stainless Steel Shaft, foldable Left-right interchangeable Aluminum handles...assure long lasting smooth performance from freshwater to saltwater. ALL UNDER YOUR CONTROL. Clear spool clicking. 10+1 HIGH POWER CORROION-FREE ball bearings; Smooth Multi-disk drag system with superior oiled felt drag washers. 5.5:1 gear ratio assure a secure, fast retrieve. Suitable for catching carp, striped bass, catfish, bluefish,mackerel and small sharks. EXTREMELY HIGH LING CAPACITY bring longer casting distance and wide target area. 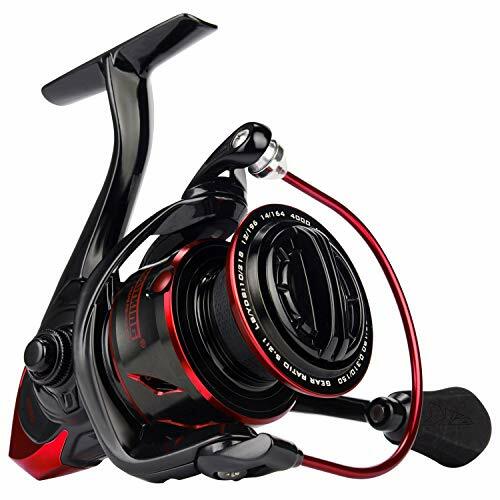 Size 3000 is a must-have medium size reel; 4000 is bigger and holding more lines; 5000, 6000 are grate options for those big ones you have been looking to land on boat. 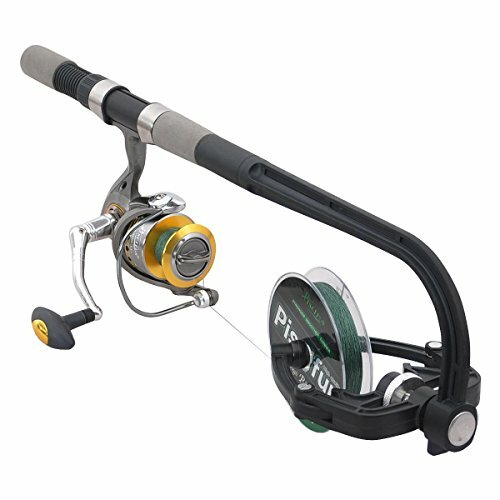 Cool-gray finish makes this reel a great match to all popular fishing rods. More important, it reeling fish to your boat for years even without hundreds of bucks cost. 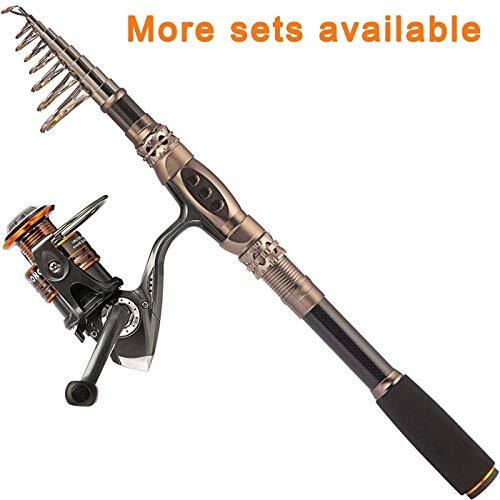 Work well for surf fishing, rock fishing, saltwater boat fishing, cat fishing and general freshwater fishing in lake, river, canal and pond. Great versatilbilty make it an amazing fishing gift. As an avid angler, you want a reliable weapon for fishing, right? So if you are getting tired of searching the right reel, this one form Yoshikawa is just for you. As we mentioned earlier, bass fishing is quite different from saltwater fishing. So chose the right weapon wisely. More than anything, it comes with several version and style. And they are in the same gear ratio of 5.5:1. CY3000- Features Line Cap. : 8/200, 10/160, 12/120(Lbs/Yds), Max Drag 18LB and the Weight 11.9 oz. CY4000- Features Line Cap. : 8/220, 10/165, 12/130(Lbs/Yds), Max Drag 28LB and Weight 15.0 oz. CY5000- Features Line Cap. : 10/275, 12/220, 15/160(Lbs/Yds), Max Drag 28LB and Weight 16.5 oz. CY6000- Features line Cap. : 16/220, 20/170, 24/140(Lbs/Yds), Max Drag 28LB and Weight: 18.6 oz. Let’s dig into the benefits and features of Yoshikawa Baitfeeder Spinning Reel. Have a look. Baitfeeder Drag System provides a fully free-spool mode. It allows flipping the tiny lever on the back of the spinning reel. It allows free-running line even without opening the bail. So you will able to fight with big fish. The drag adjustment is wide and accurate. TITAN graphite construction assures a long-lasting performance even in saltwater. Thanks to its corrosion-resistance construction. So it will be durable. The reel has Multi-disk drag system. Thus, it has 10+1 ball bearing with great oiled felt drag washers. A versatile reel, work well for rock fishing, surf fishing, and saltwater boat fishing. At the same time, it is suitable for normal freshwater fishing in a river, lake, pond, and cannel. It works well in tough weather. So we come to the very last part of this review. In a nutshell, it is a versatile spinning reel at a modest rate. For more detail, click here. 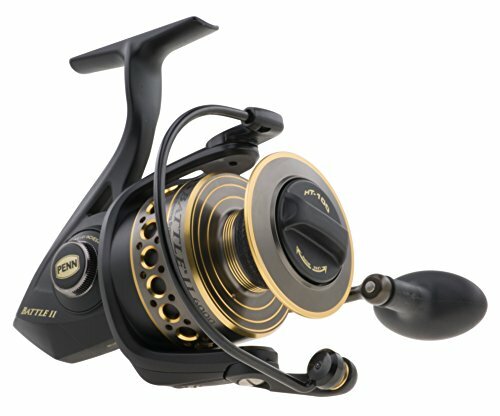 Looking for a dependable reel for bass fishing? Nothing could be better than this Shimano Spirex FG Spinning Reel. Therefore, Shimano is a well-founded manufacturer in producing related fishing instruments. However, it will be a great choice for them who are craving for an excellent reel in a reasonable range. This reel has three different models like 200 yards, 140 yards, and the last one medium light. All of them have a 6.2:1 gear ratio and five ball bearings. 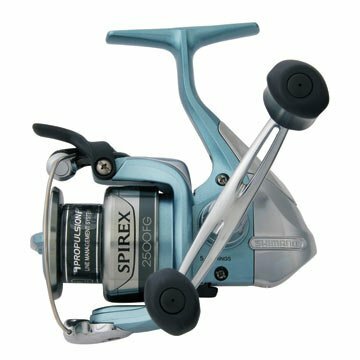 Let’s dig into the benefits and features of Shimano Spirex FG Spinning Reel. Have a look. Thanks to the auto-position casting trigger of this reel! Thus, it gives a flexible movement of handles. Featuring of Propulsion Line Management System, it makes a big difference in performance. The easy removal spool requires just a push on top of the button. Therefore, this spinning reel is a heavy-duty weapon and great performer at a modest price. The Dyna-Balance® technology helps to carry away all the retrieval shaking. The Fluidrive® gearing provides more control and allows maximum tolerance. The combination of cold-forged aluminum pool and stainless steel bearing makes it extra durable. The casting is pretty quick. 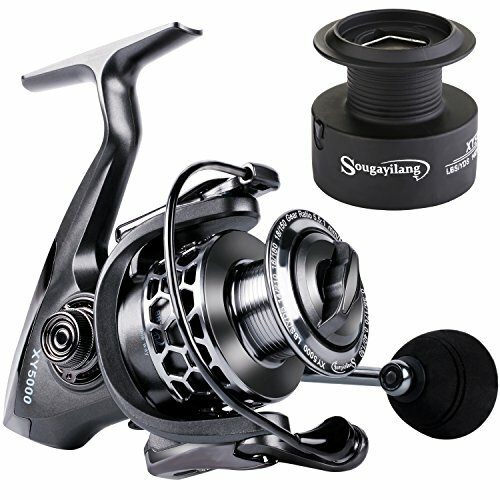 Without any doubt, it is one of the best spinning reels on the market right now. The market is flooded away with endless options in a spinning reel for saltwater. So you may get confused what is the best saltwater spinning reel for the money? Or perhaps what will be the best at this price? The matter is you can’t use your freshwater reel in saltwater. The saltwater spinning reel is engineered with a heavy-duty internal component. That is called corrosion resistant alloys. But let me clear one thing, it’s not like that you can never use your freshwater reel in blue water. But what we are trying to say the chances of internal damage is pretty high. In this part, we will cover up some best spinning reel for the money. Let’s take a look. Angling in saltwater is completely different than casting in blue or fresh water. Well, the main thing you should consider in the saltwater reel is the feature of corrosion resistance. So when you are choosing the reel for saltwater, make sure that it got that feature. Thus, all profit-driven company claims that they had a superior reel for casting in all type of water. But the reality is quite the opposite. In this part, we will discuss some best spinning reel for saltwater. So have a look. For decades, Penn spinning reels have been maintaining a standard for the saltwater enthusiasts. The new Penn Spinfisher V Spinning Reel is also one of the best spinning reels of them. Thus, it is the advance edition of the previous version. Furthermore, Penn has designed this to fight the most arduous saltwater battle. More than anything, it ensures a long-range castability. However, this ultra-tough fishing reel is engineered for the most fearless blue water anglers in mind. This awesome reel comes with 13 different sizes. So it will fit whatever your need and desires. However, it goes from 3500 up to 10500. Among them, v 6500 model is the most popular one which is available in the market. Of course, each Penn V model comes with maximum drag as well as line capacity. Let’s dig into the benefits and features of of Penn Spinfisher V Spinning Reel. Have a look. 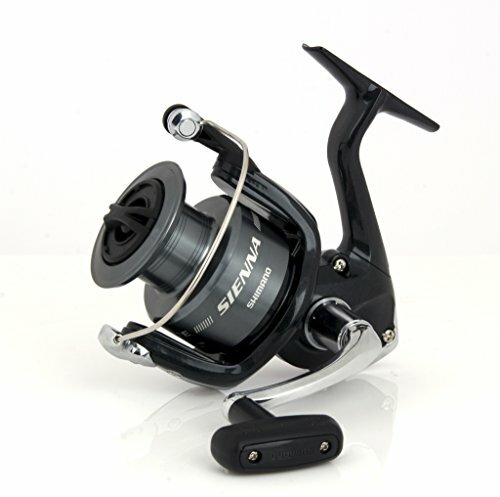 Featuring watertight design, it is one of the developing fifth versions spinning reel on the market right now. Thanks to its HT-100 slammer drag system. It provides smooth drag as well as robust. On the other hand, it secures the reel from untimely bail harassment in the time of casting. Being infinite Anti-reverse, it will be your best friend while saltwater casting. It encloses the d by full metal. So you can enjoy it for long-lasting. The six seal Water Tight Design keeps away the reel from saltwater corrosion. Reliable in the saltwater as well as in the sand environment. Penn V comes with Superline spool. It is awesome for a Quality finish. Excellent braking and Full metal body. In summary, it is quite clear that this reel will perform as the best spinning reel on your next blue water trip. Want this amazing weapon? As far a spinning reel brands go, Okuma is one of the tops. Without any doubt, it is the best one for saltwater jigging. Especially Okuma is designed this reel for casting in brackish waters. It even managed to surprise us with some quite good technology solutions that even some higher price class reels could use. 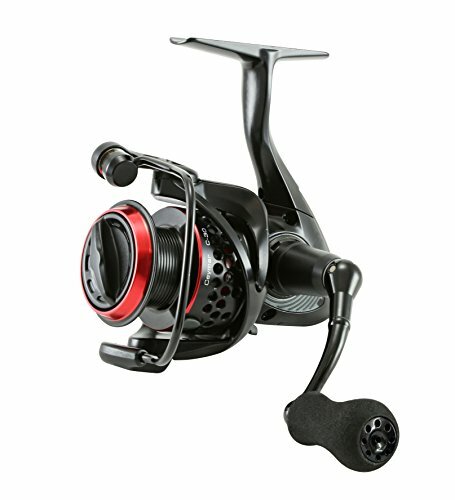 Therefore, this reel manages to surprise us by presenting such a good technology solution at a modest price. We wonder how they gather that entire great feature in this rice. 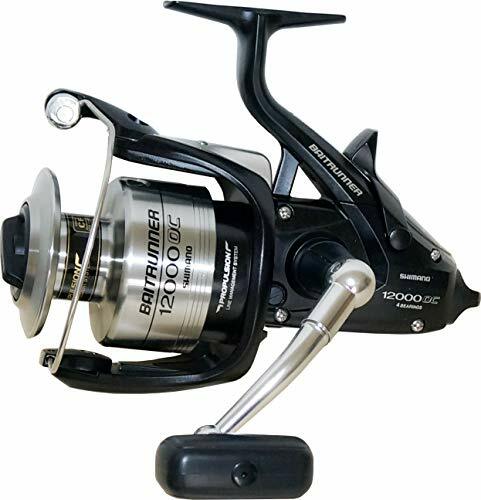 Okuma Cedros comes with six different models: CJ30S, CJ40S, CJ45S, CJ55S, CJ65S, and CJ80S. Thus, the weight range is from 11 oz to 23 oz. The entire model has 4+1 bearings. Let’s dig into the benefits and features of Okuma Cedros High-Speed Spinning Reel. Have a look. Being a Precision Dual Force Drag system, it is one of the best spinning reels for saltwater. The drag system is Japanese oiled felt. On the other hand, it has the great feature of Multi-disc. 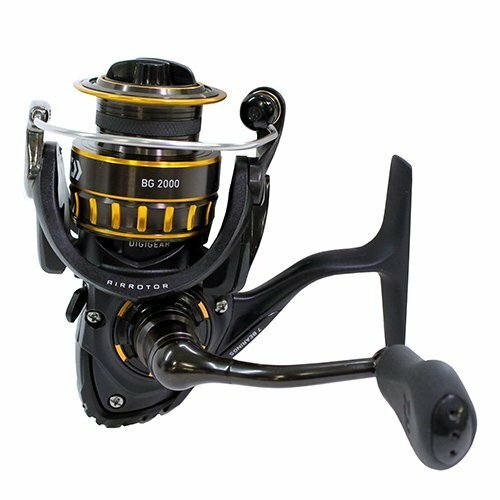 Corrosion-resistant 4HPB + 1RB stainless steel ball bearings make it perfect as a saltwater reel. Therefore, the feature will protect from saltwater damage. Featuring Narrow Blade Body Design, it reduces fatigue. It features a rigid aluminum rotor and body. Also, comes with proprietary High-Density Gearing which is enclosing by a solid corrosion resistant coating. Spool stroke is very smooth. Not suitable for surf fishing. For jigging enthusiasts, this reel is a great one for casting in saltwater. 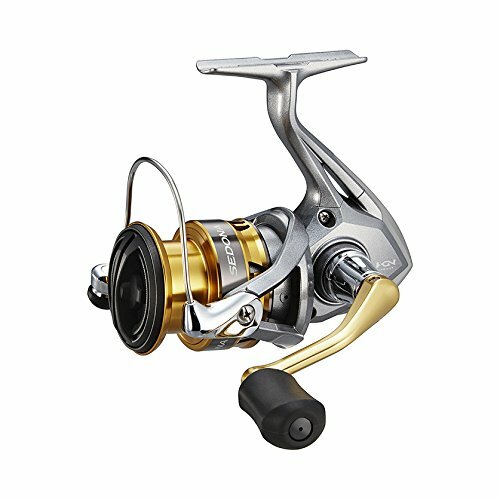 In summary, it is a high-speed spinning reel which can jug for snapper, tuna, and jack species. Daiwa BG Spinning Reels is a good bang in this buck. 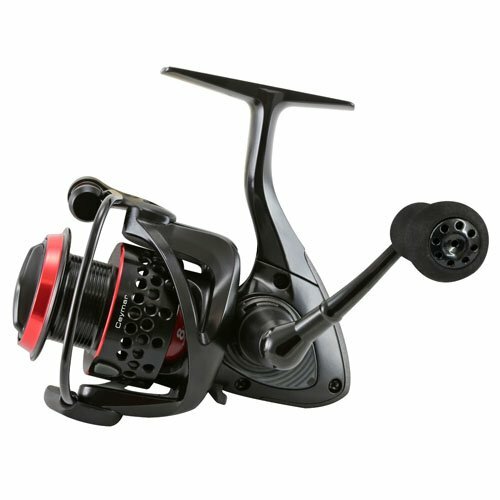 However, it is the latest version of the popular Daiwa Black Gold. It was first released in 2016. Surely, it’s a great compact reel in a modest price within just 100 bucks. Most importantly, it is an excellent smooth reel with a brilliant drag. This Daiwa BG SW reels come with ten different models, started from 1500 through 8000. As a result, you will find the exact match according to your need from small sea trout to arrogant 60-70 lb shark. So the price also varies from 72 to 275. 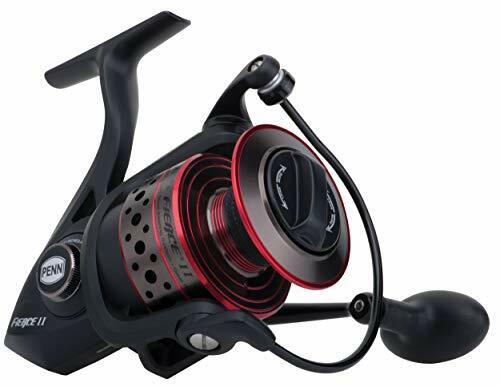 Let’s dig into the benefits and features of Daiwa BG Spinning Reel. Have a look. Featuring the Black Anodized Machined Aluminum Housing, it is far better than the conventional painted aluminum. The “Hard Bodyz” gives this reel a new dimension which will last longer. At the same time, this feature will fight against scrapes and bumps. Being corrosion resistant, it will give you a solid performance. The reel comes with Digigear™ System. However, this over-sized gear is great and allow for many teeth to cope up. Increase torque can retrieve a larger fish. This Daiwa fishing reels offer three gear ratios- 5:3.1, 5:6.1 & 5:7.1. So you can handle several fishing styles and lures. It engineered with a screw-in handle. So when you crank the handle, you will get a solid feel. 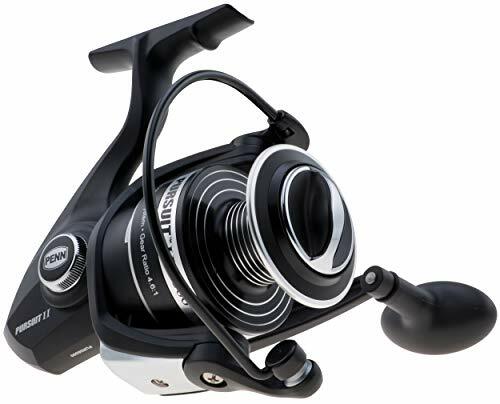 For the range of size and price, what Daiwa has given us is just surprising. That why this reel is considered as the best spinning reel on the market right now. In a plain word, inshore fishing refers to the angling within three of the beach or inshore. Normally, the inshore area is much calmer than offshore deep water. Generally speaking, in this area, you won’t find massive or giant fishes. So the reel should not be as fancy as deep water angler. Moreover, the inshore saltwater reel is pretty lightweight. In this part, we will cover up some best spinning reel for inshore saltwater. So have a look. Ever thought of stealing an experience of fishing? But not quite sure which equipment provides the best experience? 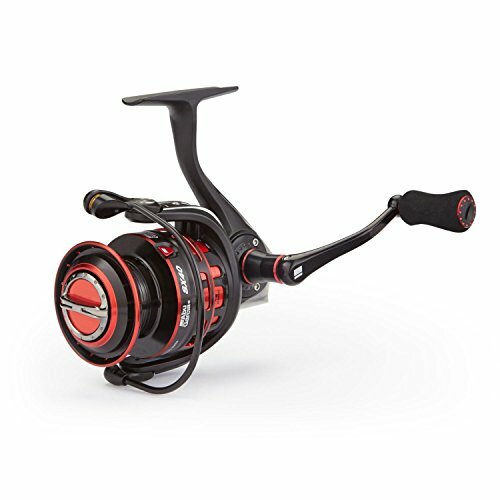 Well, let us introduce you to the fantastic Abu Garcia AmbassadeurC3 Round Reel. Moreover, this is one the best spinning reels out there for amateur fishers out there. Abu Garcia is one of the finest brands for fishing equipment worldwide. Moreover, they are providing the best quality products at a price affordable for most users. The C3 round reel contains six different models at 160, 240, and 320 yards. All of which weighs around 12 pounds. Let’s not be too quick to judge and look over its features. These round reels contain three stainless steel ball bearings and one roller bearing. Consequently, these two features work together to produce efficient movement. It has a carbon matrix drag system that allows the optimum amount of friction. A compact bent handle and star enable an individual to work with this equipment at ease and comfort. It has a synchronized level wind system that allows makes you put less effort while working with it. Needs to be lubricated once a year. This is by far one of the finest brands out of the bunch and provides comfortable use for both experienced and amateur people. Arguably it is worth the purchase. Another show stealer in the market of best spinning reels is the Shimano Baitrunner OC reels. Even though it is at a higher price range than Abu Garcia, it is no less regarding quality. If you are more of an experienced fisher who does it for passion, these OC reels are more of your kind. 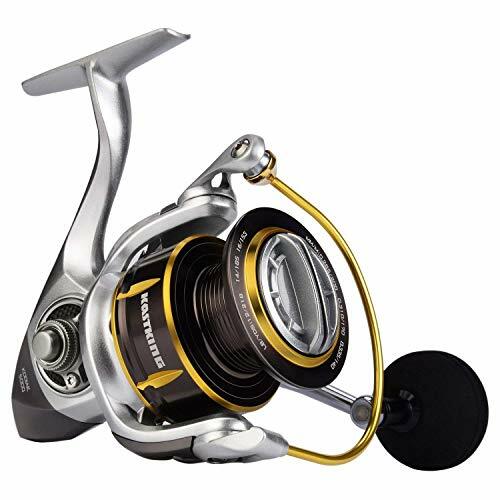 Shimano Baitrunner OC reel is one of the bestselling products offered by Shimano. 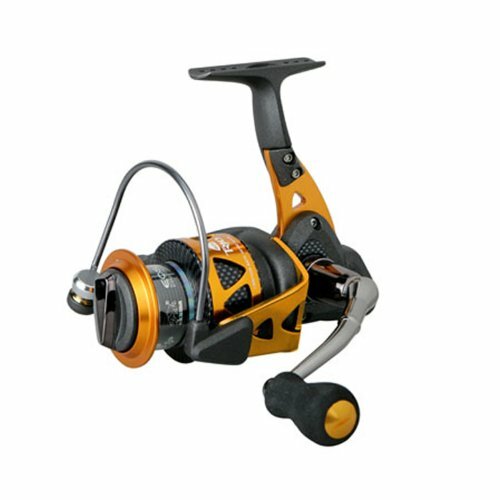 Likewise, it has reportedly shown the most customer satisfaction.These OC reels have various models at 4:8:1 gear ratio. This showstopper leaves no stones unturned regarding offering stunning features. It is lightweight only weighing 20.8 ounces. This makes it easier to carry. It has a line retrieve ratio of 36 inches. This is optimum for fishing. Allows the perfect amount of drag force. It has a line capacity of 295, 290, and 181 pounds. It has three bearings to allow smooth operation. It is quiet and swift and doesn’t cause much noise. Good quality reel for the medium or heavy rod. Perfect ratio of line retrieve per crank. If you are an experienced fisher who does it for passion, this is your go-to deal. Moreover, you can use it frequently since it has good longevity. If you are a grouper or snapper fisher, there is another hot deal in the best spinning reel range. The KastKing Kodiak Saltwater spinning reel is undoubtedly one of the finest out in the bunch. Pair it with a rod, and you are good to go! KastKing is a renowned brand that ensures quality fishing equipment. It is a brand trusted by any. Even though it is specified for saltwater, you can quickly pull off freshwater fish with it as well. It includes enhanced stainless steel main shaft and a total of eleven stainless steel shielded bearings! The KastKing Kodiak spinning reel is entirely composed of aluminum, such as the body and the rotor. This makes it sturdy and reliable. It has a large mass of 18 kg. It also has a stainless steel main shaft and fortified brass gears. This helps catch big fishes. It has a total of eleven bearing balls, making your fishing experience smooth and swift. It is designed so explicitly, so that sand and water do not interfere with catching fishes. Fit for catching big fishes. Great for snapper and grouper fishers. It is more lenient towards saltwater fishing. 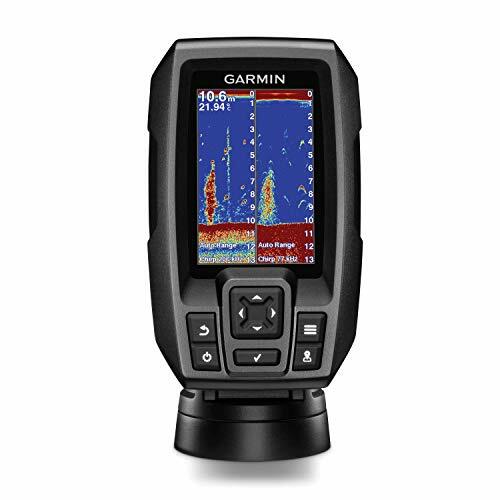 If you are a saltwater fisher, this is the best choice for you. Moreover, it comes at a high price. If you can afford some extra bucks for good quality, this part is just for you. As you are going to pay a decent amount on a spinning reel, you want to make sure that they worth every buck. However, a true angler or enthusiastic will not bother for this price. Here is a big deal. In this part, we are going to show the three finest spinning reels that will worth every penny. So have a look. 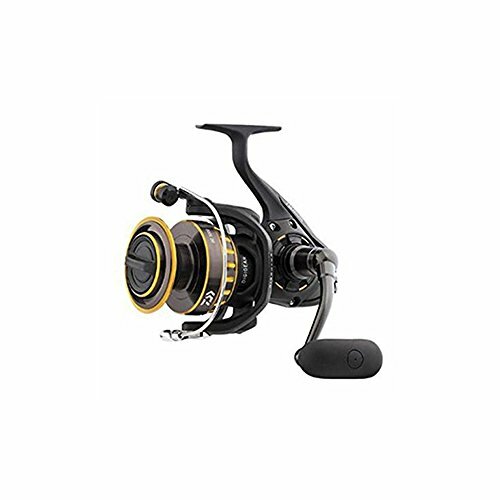 If you are looking for the best spinning reels under 200 for saltwater fishing, then the Shimano Stradic CI4B front drag is the perfect deal. This lightweight spinning reel is ideal for fishers who want to keep it in the affordable range. 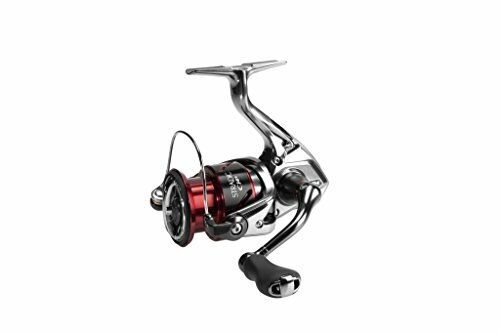 However, it gives you a flying experience, and its good looks combine to be one of the top spinning reels. So it is also lightweight, so you do not need to carry much of a weight! This spinning reel comes with 6:0:1 gear ratio and weighs only 5.6 ounces! It is designed to have six bearings for smooth operations. It has max drag operations of 7-24 pounds. Hence it is compelling. Its line retrieve per crank ratio is 31 inches, just the right amount needed. It has line capacities of 95, 85, and 65 yards. It has a tremendous front drag. Extremely lightweight, great for weak arms. Ideal for catching small fishes. Might be a bit noisy at times. It is one of the best spinning reels for small fishes. Moreover, works well in salt water. Another plus point would be that it doesn’t need high maintenance. Our search to find the best spinning reel for you still is not over. Pflueger is another model worth including for best saltwater reels. The Pflueger Supreme XT Spinning Fishing Reel is as designed ideally for your use. 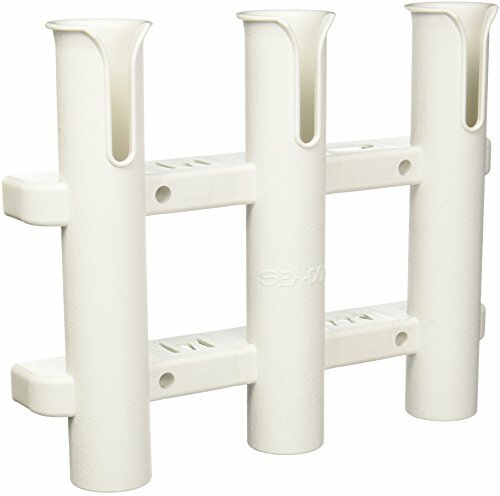 It is ideal for a wide range of fishes and angling applications. It is exceptionally light at a price range very affordable. 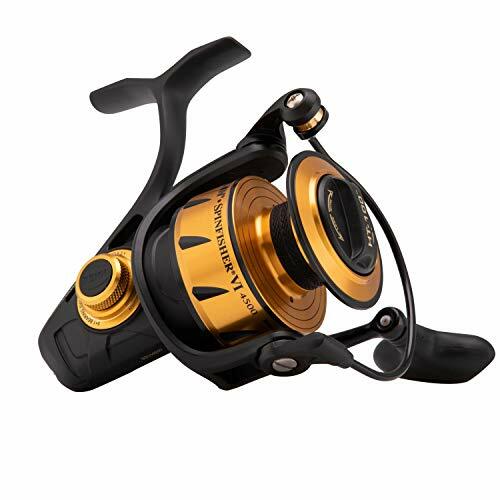 The Supreme XT Spinning reel has four models weighing only 9.6 ounces! Also, It has a sealed carbon system which always remains lubricated. It has corrosion resistant stainless ball bearings. It includes ten ball bearings. This entire combination works together to function swiftly. Its body rotor is made out of magnesium; this makes it very light. It has a sealed carbon drag that always remains lubricated. It has a carbon handle that is 21% lighter than aluminum. Does not need extra lubrication. It has a braid ready spool which allows braid to be tied directly to the spool. The fishes may sometime snap off. The Supreme XT spinning real is guaranteed to give you an experience as smooth as silk. Undoubtedly one of the best spinning reels in the market. Therefore, this does not burden your rod with excess weight. This is perfect for all type of anglers. Last but not the least; Abu Garcia is on the list again! 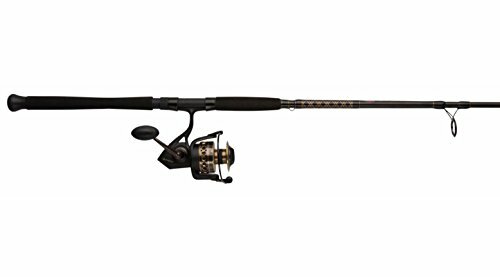 The Abu Garcia Revo SX Spinning Reel is one of the best spinning reels in the market. Abu Garcia is a trusted brand for fishing equipment. Its products have been shipped worldwide and ensured customer satisfaction. You cannot go wrong with Abu Garcia. You will be impressed with its purchase. If you haven’t fished for long, immediately give a try with Abu Garcia Revo SX Spinning Reel. This spinning reel is lighter than previous models of Abu Garcia. This comes in four models at 110, 120, 175, and 123 yards. It has nine stainless steel bearings. Gear design optimized by computer. Carbon Matrix hybrid drag methods. Might be a little noisy at times. These spinning reels are not just under 200 but all under 150 dollars! We don’t think a better deal can be caught than this. And you cannot go wrong with Abu Garcia. After all, they have provided excellent service for years. Before going to purchase the reel, you should consider some of the factors about it. At the same time, a few technical matters may be unknown to you. Don’t worry. This part is decorated as you are just a beginner. So let’s take a look. 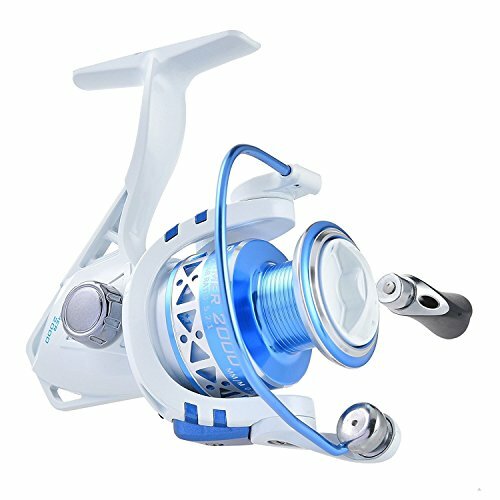 There are five types of Fishing Reels available in the market. Let’s see them. Spinning Reels: Spinning reels are the most popular type of fishing reels used by anglers. However, the working process of Spinning Reels is enclosed by the bail system. Bait Cast Reels: It is another conventional reel. As the name indicates, these reels are designed for casting baits. They are for bigger fishes. Overhead Reels: If you are an avid angler, this one is for you. Usually, it engineered with the overhead rods. As a result, they are quite durable. Fly Reels: It is another form of the fishing reel which is made by Fly Fishing Rods. Spin Cast Reels: These types of the reel are closed body. Thus, all the parts are enclosed by a body. However, there is a hole in the reel from which the reel’s line comes out. Learn how to cast spinning reel. Versatility – Fishing spinning reel is vastly used in finesse or live bait presentations. Likewise, this feature makes them very famous among bass, panfish, and walleye anglers. On the other hand, fish like spinners, jigs, and small crankbaits all are suitable to cast by spinning combo. Light Line, Light Lures – The prime advantage of spinning reels is their capability to handle cast lures and light line easily. Thus, the open and fixed spool allows the line to flow through the coil and then funneled through the rod. As a result, it will be quite easy to cast. At the same time, it will barely create tangled or backlashes. Great for all Experience Levels – Spinning reels are perfect for teaching someone to fish and cast. Thus, the operation is so simple as opening the bail, then finger on the line, and lastly, let the lure sail. So as an angler reaches experience, they will easily upgrade. Really these are awesome fishing reels. I enjoyed the article and finally selected two reels.